Zeitgenössische Verheißung, analytisches Konzept und ein Schlüssel zum historischen Lernen? 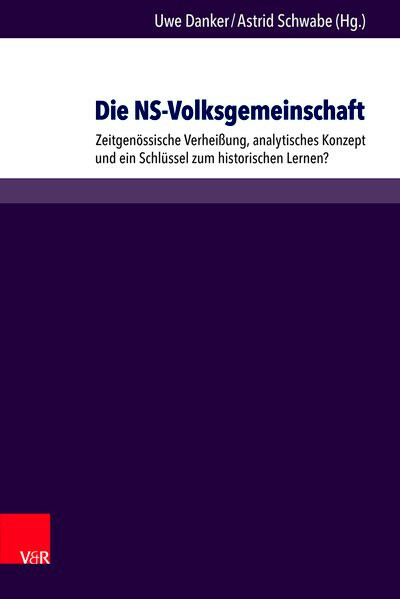 Die NS-Volksgemeinschaft in der NS-Vermittlung: Potenziale und Herausforderungen für das historische LernenThe concept of "Volksgemeinschaft" has been the centre of productive debates among historians in recent years. Although not completely unchallenged, the concept is now widely accepted among scholars for offering new approaches for explaining and understanding National Socialism. So far untouched by the discussions is the question of what the concept of "Volksgemeinschaft" can contribute to teaching the Nazi past. This book combines historiographical and didactical articles, examining the potentials of "Volksgemeinschaft" as an analytical tool for teaching the history of the Nazi era and the Holocaust. The authors pay special attention to the ethical problems and challenges that arise in (non-academic) teaching and learning when focussing on the promises of Nazi ideology. Unser Kommentar zu "Die NS-Volksgemeinschaft"